Question: It was a highly unusual G20 summit, with very many factors. I don’t remember Chancellor of Germany Angela Merkel having to overcome so many obstacles just to get to a meeting. The death of President George H.W. Bush cast a pall over the event. And then there is this strange situation with presidents Vladimir Putin and Donald Trump and the US president’s reaction to the incident in the Black Sea. What are your feelings over this? Have these events spoiled the G20 meeting or prevented the participants from implementing the agenda? Sergey Lavrov: I believe that all these circumstances have had their effect on the events that are taking place in Buenos Aires. However, they have hardly had any serious effect on the agenda. Just as it happened in 2008, when the G20 convened at the top level to discuss the root causes of a crisis that had spread to nearly all the countries, we are now amid a period of transformation in the global economy. There is, first of all, the digital transformation, an unprecedented rise in protectionist policies, up to trade wars, the sovereign debts of many countries and a shadow over the future of free multilateral trade, as well as many other factors. There is also the problem with the reliability of reserve currencies and the obligations of the countries that have them. It is these factors that influenced the preparations for the summit and discussions at it. I have not mentioned the sanctions, the restrictive, prohibitive or punishing duties and tariffs, all of which created a serious and contradictory background for and influenced the essence of the discussions. It is good that a final declaration has been adopted. This is better than nothing. However, all the sharp angles which I mentioned have been smoothed over. But I don’t think this is connected to the circumstances we were talking about. Anyway, the G20 has made rather useful decisions. We have outlined our position on the digital economy and the need to start adjusting the labour and education markets to it. We have also put forth our views on the situation when it comes to food security. Russia as a major grain producer is playing an increasing role in these matters. There was also a thorough discussion on migration, refugees and approaches to this new problem. I would like to say in this connection that we have rejected the attempts to force the “concept of equal responsibility” on the G20 and the international community as a whole for the refugees who fled their homes, for various reasons, in the hope of finding a better future in foreign countries. We clearly pointed out to our colleagues that the root cause of this unprecedented wave of migration in Europe and other countries is the irresponsible policy of flagrant military interference in the internal affairs of sovereign states, primarily in the Middle East and North Africa. The most serious factor is, of course, the aggression against Libya, which has destroyed the country and has turned it into a black hole for the transfer of illegal weapons, drugs and organised crime to southern Africa. The northbound transit, above all via Libya, has brought migrants to Europe where they have become a major problem, including for the EU. Another subject on which Russian delegates spoke actively here is the fight against terrorism. We drew the international attention to a new phenomenon of the so-called foreign terrorist fighters who return back to their home or other countries after completing criminal jobs in Libya, Syria, Iraq or some other places. It is vitally important to trace the movement of these dangerous people. Several years ago, Russia’s Federal Security Service (FSB) created a database of foreign terrorist fighters. This database involves 42 security services from 35 countries, including G20 members, such as the BRICS countries, Turkey and South Korea. The UN Security Council Counter-Terrorism Committee (CTC), Interpol, the CIS Anti-Terrorism Centre, the SCO Regional Anti-Terrorism Structure (RATS) and other international organisations have joined this database. We actively promoted this experience at the G20 summit where it aroused keen interest. Question: Have you managed to bring across to our European partners the truth on what really happened in the Black Sea (and not in the Sea of Azov, as they usually write)? Have they finally heard our position? Sergey Lavrov: I think they could not but hear it because President Vladimir Putin, while meeting with President of France Emmanuel Macron and German Chancellor Angela Merkel, personally explained “in lay terms” how all this happened, how the provocation had been planned and how its execution was attempted, as well as how responsibly the Russian border guards performed their functions trying to prevent any undesirable incidents. Regrettably, the [Ukrainian] agents provocateurs (and the provocation, carried out by two craft and a tug, was controlled by two Ukrainian Security Service officers) did their best to fulfill the order, which was found after the Russian border guards stepped on board these fire-support craft. It said in no uncertain terms that they should secretly penetrate the neutral waters, perform a breakthrough under the Crimean Bridge without giving any previous notice or hiring a pilot, and sail through the Kerch Strait to the Sea of Azov. President Putin personally told his interlocutors about this. I did not hear from them a response that would be based on different facts. Sergey Lavrov: It was the first Russia-India-China summit (RIC Group, as we call it) since 2006. The leaders of our three countries have agreed that this format should be maintained, including by holding regular summits in addition to ministerial and expert contacts that, basically, have not been discontinued during these years. What unites our countries was emphasised at the RIC meeting. This is primarily the striving not to allow the disintegration of multilateral universal organisations that are based on the UN Charter and the principles enshrined in it, such as equality, respect for sovereignty, and non-interference in internal affairs. Generally, an intention was voiced to defend the foundations of the multilateral, open economic and trade system. Prime Minister of India Narendra Modi clearly spoke out against the sanctions that were increasingly often used in this sphere by the United States in the hope of enhancing its competitiveness and getting unfair competitive advantages. As I said, the [three] leaders have agreed to continue holding summits, while instructing their foreign ministers to prepare for the RIC leaders proposals on how to make this cooperation more effective and promote it in new spheres. Question: Is there any hope that these three countries – Russia, India and China – will have a common understanding and will vote unanimously in the UN Security Council? Sergey Lavrov: India is not yet a full member of the UN Security Council, but it was elected several times as a non-permanent member for two years. We have identical views on the overwhelming majority of subjects. 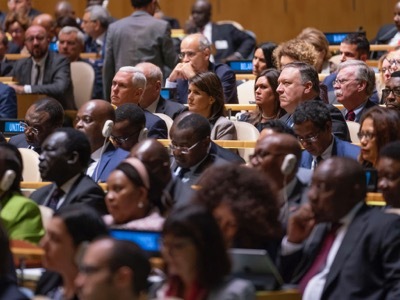 It is notable that our countries’ positions often overlap not only in the UN Security Council but also during voting on matters of fundamental importance at the UN. Another example has to do with the Organisation for the Prohibition of Chemical Weapons (OPCW) and concerns a scandalous process which the West has launched in gross violation of the Chemical Weapons Convention (CWC). When the Western countries proposed giving the OPCW’s Technical Secretariat the prerogatives that actually belong to the UN Security Council, India, Russia and other like-minded countries unanimously voted against this. The BRICS countries co-authored a statement in which they sharply criticised such inappropriate actions and demanded that all states respect the CWC and their obligations under it. I have mentioned BRICS for a reason, because President of Russia Vladimir Putin, President of China Xi Jinping and Prime Minister of India Narendra Modi have said that these three countries are the driving force behind such organisations as BRICS and the SCO, which India has recently joined. We are connected geographically and politically, share common views on the key aspects of the world order, want all disputes to be settled peacefully and would like to have a free, open and fair trade and economic system, which, taken together, makes us allies in these matters. Question: Presidents Putin and Trump have held a short meeting after all. As for US Secretary of State Mike Pompeo, was he evading you, or did he have to meet with you? Sergey Lavrov: Of course, I did not pursue him, and he did not try to meet with me. To be quite frank, I do not even know if he is here, because I have not seen the full US delegation. US National Security Adviser John Bolton said in a conversation with Presidential Aide Yury Ushakov, who deals with political matters, that they [the US administration] would like to resume and normalise our dialogue. We are ready to do this as soon as our colleagues are. Question: As far as I know, there have been very interesting discussions on Syria. Has Russia managed to move the Western countries towards the realistic Russian view on the Syrian problem? Sergey Lavrov: I don’t know how close we have managed to move them towards our position, but it is becoming increasingly clear that they don’t have any alternative strategy or tactic on this matter. Likewise, it is becoming clear that unacceptable things are taking place on the eastern bank of the Euphrates. The United States is trying to create quasi-public structures there, investing hundreds of millions of dollars so that the people could resume a normal peaceful way of life in these regions. At the same time, they refuse to rebuild the infrastructure in the regions that are controlled by the Syrian government. It is becoming obvious to everyone that the developments on the eastern bank of the Euphrates run contrary to the general commitment to Syria’s territorial integrity as sealed in a relevant UN Security Council resolution, although the United States has been trying to present its activities there as a temporary solution. The US activities on the eastern bank of the Euphrates and in other Syrian regions where it has special forces and advisers include playing the Kurdish card. It is a very dangerous game, considering that the Kurdish question is very acute in several countries apart from Syria, such as Iraq, Iran and, obviously, Turkey. President Putin discussed this matter at a meeting with President of Turkey Recep Tayyip Erdogan on the last day of the G20 session. They have confirmed their commitments regarding the Idlib de-escalation zone. We pointed out that not all extremists have heeded the demand to leave the 20-mile demilitarised zone, despite the active and consistent operations of our Turkish colleagues. We have coordinated further moves to ensure compliance with the agreement on the demilitarised zone and also to prevent the extremists from sabotaging this crucial agreement, which all sides welcomed. The third aspect of the Syrian subject is the political process. The overwhelming majority of countries agree that the Constitution Committee, which is being created at the initiative of the three guarantor countries of the Astana process as per the decisions of the Syrian National Dialogue Congress held in Sochi, is the only viable method to start implementing UN Security Council Resolution 2254, under which all Syrian sides must hold negotiations to coordinate common and mutually acceptable views on life in their country and on its future development. This is exactly what is stipulated in the above-mentioned UN Security Council resolution. After they reach this understanding, they should adopt a new constitution and hold elections based on its provisions. However, as I have said before, no reasonable alternatives have been proposed over the past years to the initiatives advanced by the three Astana countries on combating terrorism, creating conditions for the return of the refugees and internally displaced persons back home, providing humanitarian aid and launching a political process. Question: When the death of President George H.W. Bush was announced, President Putin expressed his condolences in a very emotional message. George Bush Sr. believed that one of the worst mistakes of his presidency was failure to prevent the Soviet Union’s dissolution. Did you meet with him? What are your impressions of him? Sergey Lavrov: I did not meet with him often, but we did meet. I believe that George Bush Sr greatly contributed to the development of the United States and ensured that his country responsibly played its role in the world, considering its weight in international affairs. I remember very well how President George H.W. Bush visited Moscow, I believe it was in 1991, and then he went to Ukraine where he encouraged the Soviet republics’ political forces to act responsibly and do their duty by preserving the country rather than create huge, tragic problems for millions of people who became citizens of different states the next morning after the Soviet Union collapsed. Mr Bush was a great politician. I believe that every word that will be said about his achievements reflect the people’s true attitude to this man. However, one comment among the great number of condolence messages can be connected to your question about the link between President Bush and the demise of the Soviet Union. I watched CNN and Fox News on the day he died, and I heard a commentator say that George Bush Sr made history by helping Mikhail Gorbachev soft-land the Soviet Union. In fact, George Bush Sr never did that; he simply wanted to protect the millions of people who had lived in one country for decades or even centuries from political games. This is what we can say confidently about him. Question: Do you think there is a connection between the provocation in the Kerch Strait and the US cancellation of the planned meeting between our presidents? 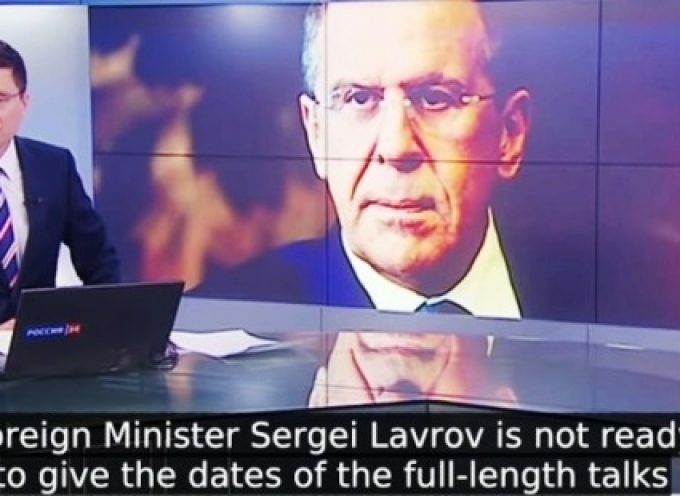 Sergey Lavrov: I don’t believe in the conspiracy theories. However, there have been too many coincidences, when a provocation that takes place ahead of a major event is used for fanning hysteria over sanctions. British Prime Minister Theresa May has demanded that Brussels further worsen its Russia policy, even though Britain has almost exited the EU. We know our partners very well, and we have masses of questions about the adequacy of their approach to serious problems. There are very serious and very real threats. The fight against these challenges cannot be improved by making sacrifices to immediate geopolitical considerations. Question: When will President Putin and President Trump hold a full-scale meeting after all? Sergey Lavrov: I won’t even try to guess. 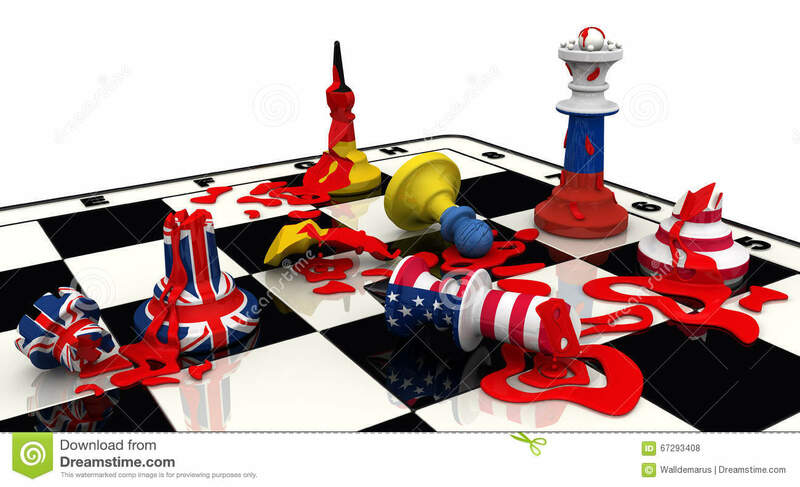 Are we reaching the penultimate and petulant back-end of the American Empire’s Unipolar Moment, a denouement hastened by a raft of sanctions regimes as imperiously doled out as they are laden with unconsidered paradox? Though the sun is prohibited from casting its light between them, Nation and Empire are not an organically indivisible formation. Indeed Americans, no less than others, should relish the prospect of a resumed, unalloyed nationhood after decades of Empire co-optation. Few Americans realize the skulking entity that looms in the shadows of their overrun and diminished formal institutions as being a separable imposition capable of (to use a Benjamin Netanyahu phrase) drying up and blowing away. Empire overlay is an uninvited and usurping agent bent on hostile, world-conquering aims to which America plays safe harbor and unwitting hostage in equal parts. Though the mode of exploitation varies, no nation on the world stage is left untouched by transnational exploitation. America, like all nations, is a boundaried fixity; whereas Empire despite travelling under the former’s name is a projective and extraterritorial expanse whose designs exceed the devise and interests of the nation-host itself. Invariably Empire doesn’t so much succumb to overreach as it overreaches the capacities of its nation-host; wrecking the balance sheet, debauching the currency, taxing the capacities of the deputized military and (most importantly as we shall see) sullying the conceptual coordinates so central to a nation’s actionable sense of self. Post-Empire, the nation-host suffers the aftermath of ruinous inflation or worse. Empire, a continuous organism, bides its time before alighting elsewhere. Thus unipolarity is an Empire project in the same manner a tapeworm mimics the appetites of its host, the afflicted nation being little more than a body-snatched, debt-amassing hostage-vessel. Daniel 2’s prophesied statue gives anthropic form (and thus systemic coherence) to Empire succession. Each empire ‘chapter’ pours into the next with corporeal fluidity, the respective statue material and animal totem befitting the situational needs of Empire in that historical moment. The anatomy suggests an eschatological continuum, hardly a severed procession of akimbo body parts. The purposeful succession of empires conducts human history to a terminus. Usury is the arithmetically ordained travel-partner or Empire. Indeed the latter is more Babylonian mystery than secular-geopolitical formation. Through it, all earthly power and wealth is to be gathered under one aegis until no nation can lay claim to an autonomous storehouse. The whole purpose of human history is demonic consolidation by the God of this World. In the same way, the events of the world prove less yielding to geopolitical analysis absent an explicit awareness of Paul’s Principalities or the slow-thighed onset of the Antichrist/Dajjal. As human history thins like gruel in the twilight, the spiritual backdrop moves inexorably to the fore. Sanctions negate the very notion of empiric expansion. Beneath all the bluster, continual recourse to a ‘remedy of retreat’ signals the exhaustion of Empire’s Pax Americana phase. Like medieval bleeding, the cure soon exceeds the lethality of the underlining disease. For the moment, America’s economic activity, 25% of the world’s GDP, is a big party to be dis-invited from. Furthermore, 70% of that GDP is buffered from international trade disruptions as it consists of internal consumption. (In China, for example, the figure is closer to 40%). When push comes to shove the US economy is sufficiently self-contained such that a protracted period of inwardness is a viable course of action. While inconsistent with empiric expansion, sanctions and their threat can for a time inflict asymmetric damage on the sanctioned party –until some vague tipping point is reached. Midwives to a nascent neo-nationalist era, President Trump and his formidable trade team have been leveraging (some would say weaponizing) America’s economic primacy in order to redirect product origination and trade flows. 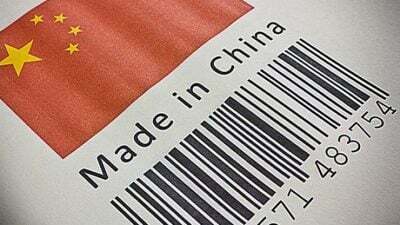 For example the USMCA’s closing of the infamous NAFTA loophole or ‘trade toll’ will be a huge boon to US consumers and workers alike, not to mention an indirect trade assault on China which advantaged the loophole via finished goods assembly plants in Canada and Mexico. The so-called ‘regional vehicle content’ has been boosted from 62.5% to 75%. The necessity of a resurgent manufacturing base is being characterized (correctly) as a national security (if not even a national dignity) issue with implications far beyond the usual econometric equilibrations. What the world needs to understand is that the unacknowledged obverse of America First is Empire Never Again. America’s self-reclamation process on the trade front will be a boon for the planet. Re-nationalization is synonymous with ‘de-empirization’. As America reacquaints with nation-among-nations status, multipolar clusters will fill the void. America the Empire routinely pulls the wool over America the Nation’s eyes. One deft bit of corporatist misdirection (articulated through that multinational stalking horse, the US Chamber of Commerce) has been to assure Americans they could thrive as a service-sector economy. Globalists would have us favorably envision a world where the US holds the edge in 2030 Powerpoint presentations while China captures the high-performance medical device and industrial robotics markets. As Yogi Berra might say, “all left-handers over here to flip charts, all right-handers over there to flip burgers. The rest of you come with me.” Yes, but where to exactly, Yogi? The Argentine Paradox circa 1950? The same can be said for Made in China 2025, from a Chinese perspective of course. Geopolitical hegemony is the goal, economic nationalism the rallying cry for respective domestic audiences. No wonder trade wars metastasize into shooting wars. No less than everything is at stake. Parsimonious when it comes to sharing the planet’s ill-gotten gains with its erstwhile nation-host (American real incomes peaked in 1973), Empire is all too willing both to off-load the debt burden and share the vainglory of its overseas military exploits. We seek evidence of the Heartland tiring of its conscription obligations, or that their nation’s subsidiary role has even dawned on the average American after nearly two decades of ruinously fruitless overseas campaigns. The enthusiastic reception afforded Clint Eastwood’s 2014 movie American Sniper —to belabor one cultural touchstone– is hardly a bullish indicator. In fact, the Nation still wraps itself in the Empire’s exploits with a patriotic vigor that obliges it to insist, against all evidence, that Iraq and Afghanistan were missions of existential import to the safeguarding of American neighborhoods. That this misprision persists is a powerful testament to the Empire’s ability to enforce and sustain a narrative steeped in false consciousness to which clarifying epiphanies must forever be kept at bay. In recent months scores of alt-media sources have been exiled from Youtube in veiled recognition of their counter-narrative incursions. The Empire cannot relinquish narrative hegemony. The most decisive conflicts are conceptual. Sartre famously called this insistent and externalized apparatus of persuasion America’s ‘implacable machine’. Eastwood, the Leni Riefenstahl of our time, fashions empire exploits into pastiches of Americana. This is pure propaganda. Empire is a rapaciously unnatural imposition. Rooted in no soil, it descends from above. Transnationalism sustains itself on grassroots alienation and collective misdirection. 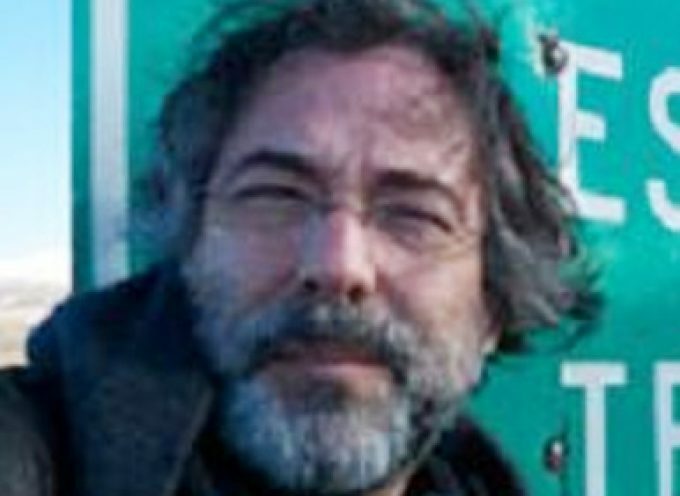 The Vineyard’s Saker indirectly acknowledges this differentiated two-headedness when he says, “Russia does represent an existential threat, not for the United States as a country or for its people, but for the AngloZionist Empire, just as the latter represents an existential threat to Russia.” He might just as easily have extended the empire threat to America itself. Where Saker offers daylight, Eastwood extends the darkness of a confused nation. It would surprise many Americans to know that their nation hosts one of the least democratically answerable national governments in the world (though far fewer would be surprised today than, say, two years ago). Trump, the exogenous usurper, is trying to reverse this expropriation of the country’s traditional Madisonian Institutions by the Security State’s Trumanite Network (what Michael Glennon calls our Double Government, the prior terminology being his). How did the empire accomplish this parallel sovereignty? The hijack occurred in two sizable chunks (the 1947 National Security Act and the USA Patriot Act of 2001). Yes, America has a divided government alright. Just not in the sense American civics classes define the concept. Moreover this sovereignty split occurred without benefit of referendum or Constitutional Convention. The division was assented to –and furtively institutionalized– over the ensuing post-WW2 decades by the nation’s elected leadership, the latter bartering away democratic self-determination and their own discretionary power for more attractive post-public sector career vistas. A further lubricant was mass fear, something the Security State excels at fanning. This is a toxic oroborus: fear rationalizes enhanced security measures, obliging it in turn to identify more threats and thus promulgate more fear. America’s captured political system (captured, in the main, by treasonous greed) perennially offers no material recourse away from Empire objectives. Carroll Quigley exposed the degradation of choice mounted by the two-party charade decades ago. His protestations fell on deaf ears. Then came Trump, arguably more detested by ‘Rino’ Republicans for helicoptering onto their half-acre of Quigleyan turf than the Democrats who openly shower their contempt upon him, aided by a not-so-secret confederation of Senior Executive Service (SES)personnel and an assorted Five Eyes gallery of International Men of Mystery. That new attention is being drawn to this fissure is a function of the Trumanites’ open rebellion against Trump’s subversive (Madisonian revivalist) presidency. Trump has forced the Deep State to the surface, a process that compels an explicit –and never before attempted– referendum on globalism, something the movement cannot possibly prevail on as the closest thing it possesses to a natural constituency is a beholden media, George Soros’ checkbook and a traitorous ruling class. These transnational Trumanites, the true empire-builders, seek geopolitical hegemony, (over)-employing trade sanctions as a tool towards that end. Whereas Trump, a businessman to his core, seeks only comparative advantage and level playing fields i.e. trade for its own sake. Trump has the inclinations of a competitor and possesses an abiding faith in the productive capacities of his fellow Americans. His America-first exertions are sincere. Creditably, Porter manages to overcome his early subjectively-derived aversions with dispassionate analysis. More thinkers will follow. Trump will never inspire great wellsprings of affection. Yet shouldn’t likability deficits fall within the rehabilitative purview of Oprah Winfrey and her top shelf of gauzy sofa lens? History books are replete with highly eccentric, yet transformative, leaders. Who but the most media-besotted automatons really care? As for our beleaguered trading partners, the list of American pariahs (sanctioned and tariffed) grows by the month: China, Russia, Iran, Turkey come immediately to mind, obviously in varying modes and degrees. What happens should the EU (the world’s 2nd largest ‘economy’) continue to trade with Iran under a “special payments entity” arrangement despite US warnings? For the record, India has no plans to cease its Iranian oil purchases. This comes at the cost of American producers as will European demand absorbed by the onset of Nordstream 2. The US Department of Treasury’s Office of Foreign Assets Control (OFAC) maintains a list of sanctioned nations and programs. It’s well worth a look. Weapon system defections present a knottier dilemma as military and trade considerations commingle. The Countering America’s Adversaries Through Sanctions Act (CAATSA) of 2017 addresses punitive measures and waiver procedures; a bill opposed, it must be said, by President Trump. Turkey, a NATO member, is taking delivery of the Russian S400 missile defense system, playing havoc with weapons (F35) inter-operability, among other things. Flores surfaces the nub of the paradox: By waiving sanctions and allowing breakaways on a case-by-case basis, does unipolarity preserve itself by exception or compromise itself by non-inclusion? A contrary beast, this unipolarity. First of all, absolute power is an unnatural configuration if it isn’t a fairy tale altogether. Kenneth Waltz, one of the 20th century’s leading scholars on International Relations, recognized unipolarity as being among the most tenuous of international power arrangements. Fully consummated unipolarity contends with no nemesis at the gate, no rudely apparent countervailing force with which to remind itself that power consolidation is always an asymptotic function forever falling short of omnipotence. Whereas bipolarity increases overall system stability as each power has only the other to regard warily. A vigorous checkmate ensues. Like a two-headed Cerberus, power is affixed to one mode of action. In short, power is a distributed resource requiring a corner of contested ground upon which to construct an antithetical lever. One can calibrate power only in the context of someone else existing beyond one’s own locus of control. Until history fully resolves itself, the ascendant antithesis must germinate in a strange province that forever looms on the frontier of the prevailing thesis. In this way, ideas inhabit their own conceptually balkanized geographies. One has to think Crooke intended ‘omnipotence’ instead of ‘omniscience’. Beyond that, he captures the Hegelian primacy of ideas (as opposed to the brute accouterments of tanks, planes and automobiles) as being the first-order Empire battleground. As Flores suggests, the unipolar moment does have an antithetical nemesis. It exists, not for the moment at least, in the guise of a discrete nation-contender, but rather from amidst the inchoate forces of over-extension, hubris and internal contradiction. One way for unipolarity to hasten its own demise is to persist in the practice of briskly escorting bad actors out of the Big Tent. At some point a critical mass of delinquent nations finds itself on the outside-looking-in; to which a new inside and fresh synthesis are baptized. The formative institutions, structures and initiatives already exist: OBOR, BRI, BRICS, AIIB, SCO. The evolving role of the Shanghai Cooperative Organization (SCO) for example is on vivid exhibit his week with rather self-conscious pronouncements of multilateral cooperation, due no doubt to American trade frictions with key members Russia, China and India. These are the formative orbits that can exert and accelerate gravitational tugs away from prevailing global governance models and power centers. Analyzed in myopic isolation, each sanction regime may indeed conform to a calculus of advantageously asymmetric bleeding. That is, Empire appears to crush each recalcitrant outlaw in serial procession. Yet how fully considered is the cumulative effect of a dozen rocks being hurled simultaneously at a Goliath convinced of his insuperable size? Death ensues at the instigation of a thousand Davids. Perhaps the Empire’s quant-model betrays a methodological flaw in its singular regard for each battle to the exclusion of the cumulative toll of mounting departures. Trumpism, the exuberant renewal of national self-confidence by a man who exudes it to the near-level of parody, obliquely acquiesces to the death of empire (without formally announcing it). Out of America’s re-acquaintance with itself springs a psychic reinvestment in the traditional facets of the American character, sublimated arguably since the Nixon Shock of 1970: enterprise, self-reliance, innovation and a can-do work ethic. For those who doubt the powerful emotional and psychic ramifications of the Trump renationalization, watch this steel worker tear-up at the realization he’s been rescued from oblivion. Work is a moral calling that instills purposeful existence. Trade merely extends that calling beyond a nation’s borders. Fellow Glaswegian Adam Smith was not a Wall Street economist running balance-of-payment Excel spreadsheets for the ‘grand’ purpose of sector fund allocations. He was a moral philosopher. The American people, most of them anyway, could have frankly gone to hell as far as the bankers were concerned. The enterprise costs (a productively idled and hollowed-out nation) proved fantastically exorbitant. No privilege accrued to the common man. Middle America became the Military Industrial Praetorian Guard hiring pool. Sanctions betray the unipolar moment’s faltering grasp. They are the unacknowledged road back from Empire to Nation. The contracting enterprise puts the best face on what can only be deemed a mutually assented to rejection. For, equally, the sanctioned nation is declining its prescribed role within the Empire playbook. Thus sanctions better resemble a divorce stemming from mutually irreconcilable differences than a unilateral flash of Empire pique. Trump, almost certainly, is accepting of these geopolitical normalizations, which ultimately will entail the cessation of the US Dollar as reserve currency. Hegemony is succumbing to variegation. There are other globally-aware approaches. Pope Francis’ polyhedral globalism for example combines comparative advantage with the inherent dignity of each nation’s native culture. Monoculture is a Unipolar aim. Global economies-of-scale seek to arbitrage away –to flatten– indigenous human character. Uniqueness is the lumpy stew that bedevils rote, commodity pricing. The sanctioned nation makes a calculation that its interests are better served relinquishing the benevolent gaze of Washington. In so doing, it embarks on a path alone. But not so alone as to be lonely. Not anymore. Other diasporees have preceded it. As will a re-nationalized America in due course.